There are many reasons to visit this beautiful part of Portugal: in spring the wildflowers are wonderful, in autumn the fungi are fabulous, but whatever time of year you visit, the birds are brilliant, and this is what the region is most famous for. The parque itself is designated as a SPA – Special Protection Area. (There is an explanation of conservation designations on the First Nature website...) It is a large area around the little town of Castro Verde, which lies off the western edge of the Parque. The countryside is a mixture of wooded hills clad with pine or introduced eucalyptus, grasslands studded with holm oak trees under which the famous black pigs forage for acorns in the autumn, and the largest area of rolling steppes in Portugal. Even in high summer, when the overall impression is of a desert, the landscape of Parque Natural do Vale do Guadiana is unforgettable. This outstanding natural park lies partly along the Portuguese border with Spain and is best accessed (from the Algarve) by driving to Castro Marim on the Spanish border before heading north along the IC27 and then onto Route 122 in the direction of Beja. Parque Natural do Vale do Guadiana is a huge area covering almost 700 square kilometres and, in order to see all that it has to offer, a stay of two or three days in the area would be ideal. The Hotel Beira Rio in the lovely little town of Mertola is ideal. The hotel is in Rua Dr. Afonso Costa and well signed from all entry points into Mertola, although you should be ready for some interesting driving around the narrow, cobbled streets on the way! The hotel is simple, but we found it immaculately clean and comfortable, and it has excellent views up and down the River Guadiana, which it overlooks. Breakfast is available, but there is no restaurant in the hotel for other meals. The staff can supply a map with all the nearby restaurants marked, along with the main tourist attractions. There are a number of routes of varying distances throughout and around the Parque which are easy to follow. The road (route 123) between Mertola and Castro Verde and back via the IP2 (to Trinidade) and then the 122 returning to Mertola is a triangular route and will give you a really good feel for the area. Another really enjoyable and not too long route is marked off the N267 as 'Circuto de Serras'. It passes through some outstanding mountain scenery with several ideal spots to pause and admire the surroundings. Also, not too far (about 31 kilometres) from Mertola is Pulo do Lobo, which is an impressive waterfall on the River Guadiana. Considering how seldom one sees water in rivers in the Algarve, and bearing in mind that Parque Natural do Vale do Guadiana sits in the centre of the hottest and most arid region of Portugal with rain well below average, it is quite a surprise to see such a waterfall. Pulo do Lobo is accessed through gates about 1km before the waterfall, which you can get to at the bottom of a steep track. There are parking places and a vehicle turning area very close to the cascade. Close to Castro Verde there is an Environmental Education Centre run by the Liga da Protectao da Natureza - see the paragraph below for more details. Any description of the birdlife of Parque Natural do Vale do Guadiana has to include both the Little Bustard and the Great Bustard, although excessive pressure from birdwatchers has had a negative impact on the breeding success of these two species in recent years. Before attempting to find and photograph these birds it is a good idea to visit the LPN (Liga da Protecao da Natureza) Castro Verde Environmental Education Centre, which is situated about a 10 minute drive to the east of Castro Verde itself. The centre is open from 9am to 5pm except on Sundays and Mondays, and the English-speaking staff there will explain the various measures that should be adopted when observing Little Bustards and Great Bustards. 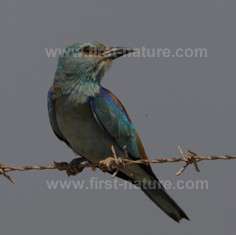 There is also information available on all the best bird-watching hotspots and walking trails in the area. Of the two species of Bustard found in the Parque, the Little Bustard is the more common and most likely to be spotted from the roadside. In Spring the head of a male bird, perched on its long black neck, can be seen protruding above the tall grasses as he patrols the nest in the absence of his mate. 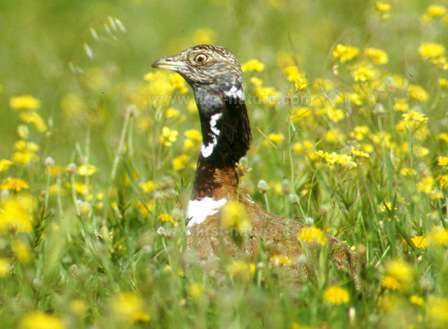 The Great Bustard is a much shyer bird and more rarely seen by the casual visitor to the area. At a weight of around 18kg this monster is Europe's heaviest bird, and it seems nothing short of a miracle that it is able to take to the air. Even more sensitive to habitat destruction than the Little Bustard, this amazing bird is on the Endangered List and afforded the highest levels of protection. Many of the other birds to be found here are classified as rare or endangered. There are a few pairs of Bonelli’s Eagles and Golden Eagles for instance, and Great Spotted Cuckoos, Golden Oriels, Black-shouldered Kites and Blue Rock Thrushes can all be seen in the Parque. A recent study into the presence of breeding Eagle Owls in the Parque revealed the highest density of these birds ever recorded. Azure-winged Magpies are common in the area and there are also many Lapwings, which have become so rare in other parts of Europe where they were once common birds. Other notable species present in the Parque include European Roller, Bee-eater, Black-bellied Sandgrouse, Montague’s Harrier, Calandra Lark, Common Crane, Lesser Kestrel, Eurasian Griffon Vulture and Eurasian Black Vulture. 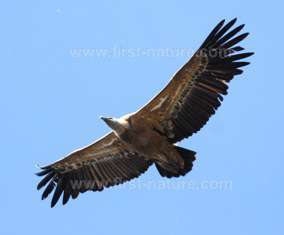 There have even been sightings of Spanish Imperial Eagles soaring over the area. The delightful little Friar's Cowl is one of the region's earliest spring flowers and can sometimes be found in December. Other birds seen in the Parque include the Rufous-tailed Robin, a Black-shouldered Kite, several Buzzards, Red Kites, and numerous Red-legged Partridges scurrying across the roads. 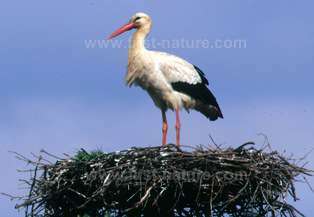 Less affected by visiting birdwatchers and naturalists than some of the rarer birds are the Storks. Their nesting colonies are frequently seen in roadside trees. Although common throughout the Iberian Peninsula, they nevertheless are of enormous interest to visitors from other parts of the world. Although best known as a mecca for bird watchers, Parque Natural do Vale do Guadiana is also an excellent place to see many of the wildflowers that occur in southern Portugal, and in autumn, the Parque is also a great place to see numerous species of fungi. 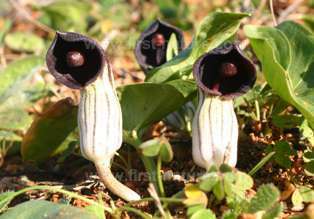 One of the earliest of the spring flowers in the area is the cute-looking Friar's Cowl, Arisarum vulgare, whose head pops up from the base of the plant's arrowhead-shaped leaves as early as December or January. Once the flower season gets underway the roadsides and river banks are covered with the yellows and purples of early spring as Jonquil, Yellow Hoop-petticoat Daffodil and Barbary Nut burst into flower. These are quickly followed by bright Pink Catchflly, Silene colorata, and deep purple Viper's-bugloss, Echium vulgare. By the end of May the extensive crop fields are ripe and golden, but once harvested this arid area becomes almost desert-like with no indication of the glorious pageant of colour that has gone before. Despite being one of the more instensively farmed parts of the Algarve, the lower useage of herbicides and pesticides on the land compared with other parts of Europe means that Mother Nature can still remind us of her power to beautify the countryside with a diversity of flowers and plants beyond the wildest imaginings of even the greatest of our garden designers. Lying in wait for the first hint of autumn rains are the many kinds of fungi that pop up on the roadsides and in the woodlands of the Parque. 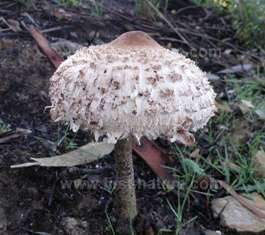 One of the more obvious of them is the Parasol mushroom, Macrolepiota procera, which is particularly plentiful on the edge of wooded roads throughout the area. It is extremely good to eat and, in a good year, locals sell their excess to passers-by. Chanterelles, Cantharellus cibarius, are another of the many excellent edible species that can be found in vast numbers in both spring and autumn in the Algarve. Although the temperatures in the Parque in mid summer are very high and the coastal sea breezes seldom penetrate so far inland, this vast open grassland area of the Algarve is well worth a visit at any time of year, as it provides a very different perspective on southern Portugal from the mainly over-developed coastal area where most of us spend our time on holiday.